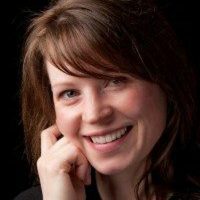 Based in Yellowknife, NT, Dr. Irlbacher-Fox has twenty years of experience working for Indigenous peoples’ organizations in the Northwest Territories, Canada on political and community development, including Treaty negotiations and implementation, and the development of public governance institutions in the NWT. From 2003-2014, she was on the negotiating team of the Deline Self Government Agreement. She is currently the Project Director and Principal Investigator of a $2.5M SSHRC Partnership Grant with the Land Claim Agreements Coalition of Canada, undertaking research on Modern Treaty Implementation. She was the Implementation Director responsible for overseeing technical aspects of setting up the Deline Got’ine Government, combining the Deline First Nation, Land Corporation and municipality with new self government authorities. She continues to provide several NWT Indigenous governments with governance advisory services related to self government negotiations and land claim implementation. Dr. Irlbacher-Fox is also the Scientific Director of Hotii ts’eeda, the NWT SPOR SUPPORT Unit, a CIHR-funded health research initiative hosted by the Tlicho Government. She is the author of Finding Dahshaa: Self Government, Social Suffering and Aboriginal Policy in Canada (UBC, 2009), nominated by both the Canadian Political Science Association and the Canadian History Association for book awards.